New OpenRack and OpenSled infrastructure will be shown representing a significant step in the evolution of OCP’s CG-OpenRack-19 specification. ADLINK and our OCP partners are meeting this need by delivering next generation equipment needed to meet the rigorous OCP-ACCEPTED standards. 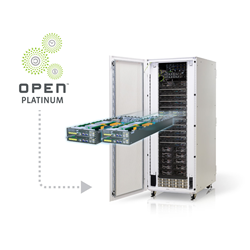 ADLINK, a leading provider of telecom equipment and Plantinum member of the Open Compute Project (OCP), will be featuring carrier grade CG-OpenRack-19 solutions at the Big Communication Event in Booth B419 on May 14-16 in Austin, TX. These solutions include Multi-access Edge Compute solutions from multiple OCP partners and suppliers. The Big Communications Event (BCE) is the communication industry's meeting point to discuss the major changes affecting its future. BCE brings telecom experts from around the globe. The conference and expo covers the industry's most pressing topics including automation, edge computing, intent-based networking, artificial intelligence, cloud-native software, advanced security strategies and 5G networks. Radisys (NASDAQ: RSYS), a global leader in open telecom solutions, enables service providers to drive disruption with new open architecture business models. Radisys’ innovative disaggregated and virtualized enabling technology solutions leverage open reference architectures and standards, combined with open software and hardware to power business transformation for the telecom industry, while its world-class services organization delivers systems integration expertise necessary to solve communications and content providers’ complex deployment challenges. For more information, visit http://www.Radisys.com.